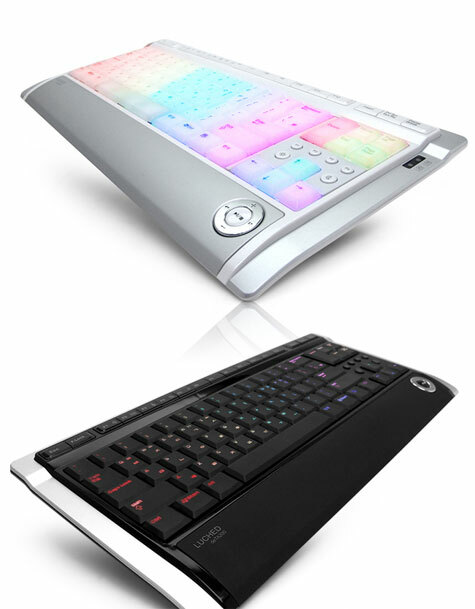 SPEED-LINK has busted out a new Dark Metal Illuminated keyboard for y’all to peruse over. 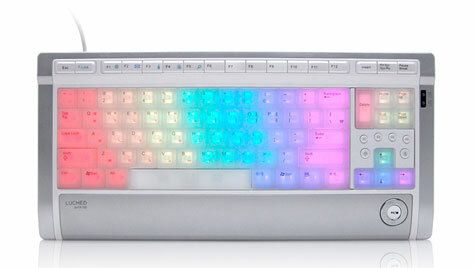 Anyone sitting at their PC late at night exploring the virtual world can enjoy the discreet lighting of the Illuminated Dark Metal Keyboard in all its glory. 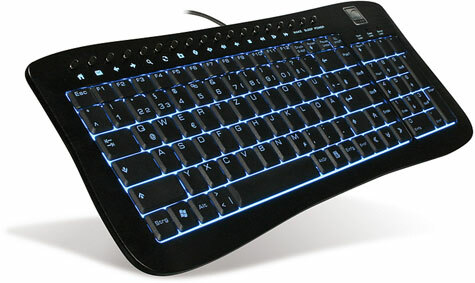 The keyboard background lights up blue and the characters and keyboard symbols are correspondingly coloured. Everything else is black like the night. In addition to the blue light, the keyboard radiates pure elegance through a combination of a slim case of brushed aluminium and notebook-style flat keys. White, black and grey? the boring standard basics in most consumer electronics. But what if you want a bit more color and flair? 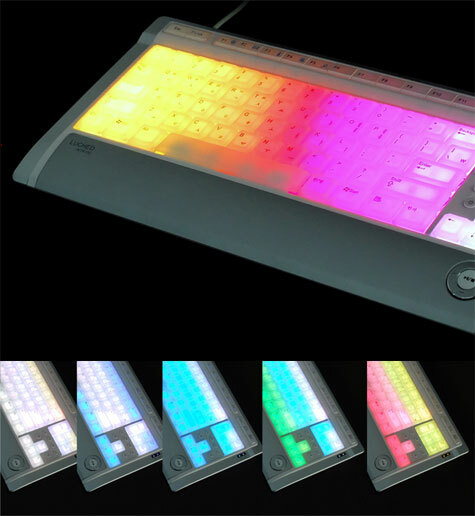 Sure there are a few colored keyboards, but none like the Luxeed from Luxiium Lighting & Technology, the first truly interactive keyboard. Each of the keycaps can be personalized using 512 different vibrant colors. Be it a single hue, a spectrum rainbow or your very creation, it?s up to you to decide. Let your personality shine. Color skins are available for download via their website, or save your own to remember various color patterns and such. Music skins can also be created so that the colors ?dance? to the music. Logitech? diNovo Edge? 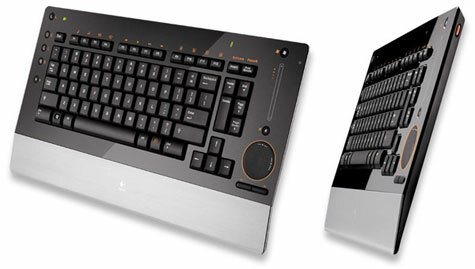 : The World’s Most Advanced Keyboard. An ideal partner for any high-end computer, the ultra-slim Logitech? diNovo Edge? delivers the ultimate in feel and response. The revolutionary TouchDisc? 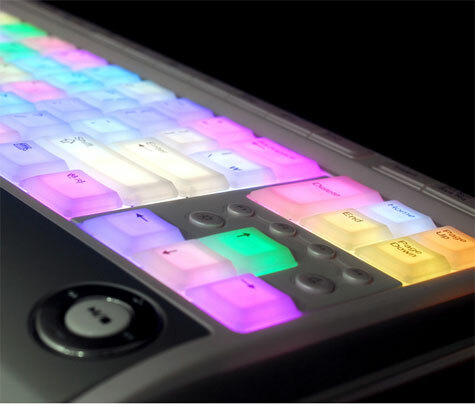 with hyper-speed scrolling and pixel-perfect control makes trackpads obsolete. A slim recharging base doubles as a keyboard stand. Work longer thanks to the longer-lasting Li-Ion batteries, and more securely via Bluetooth? wireless technology. Combine it with the world’s most advanced mouse, the Logitech MX? Revolution, for a premium desktop experience! This keyboard has the same measurements as a standard 102-key keyboard, but there?s a big difference. You can roll this one up and put it in your pocket. 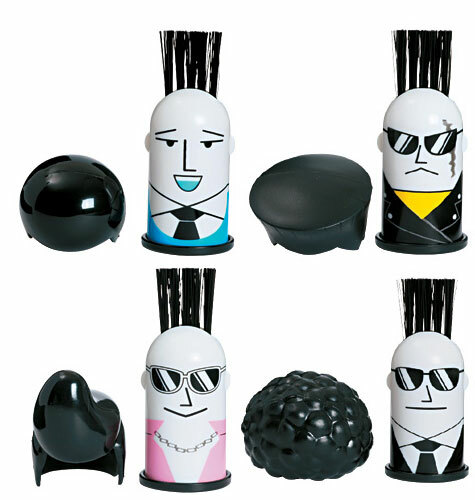 This cool dude with an afro will help you keep your keyboard dust- and cookie-crumb-free. Just take off his elaborate wig, slip him onto your index finger, flip him over, and the bristles on his head (a.k.a. his real hair) function as a totally practical, safe-from-damage keyboard brush.he comes in black-and-white, it totally gives him this retro coolness that you don’t find in computer accessories these days. And you can get rid of that stupid dust gun thing that murders the environment and stuffs lint under your keys instead of blowing them away.